Enjoy 50% off your food bill. From the a la carte menu. Lovely food, large menu of interesting dishes, great service and a reasonable price especially with the 30% week day discount. Absolutely delicious. Beautifully spiced, so fresh, tender meat and the vegetables were cooked perfectly. Friendly, efficient service. Will return soon. Lovely food as always and good service. A bit cramped due to popularity and small room, but a sure bet for tasty Indian food. Great food well worth the travel. Arriving at 8pm was a bit mad but once everyone was seated the service was great. Loved the really authentic taste differences between dishes. Great fresh spices. The naans were some of the best I’ve had in London - crisp, charred and fluffy. 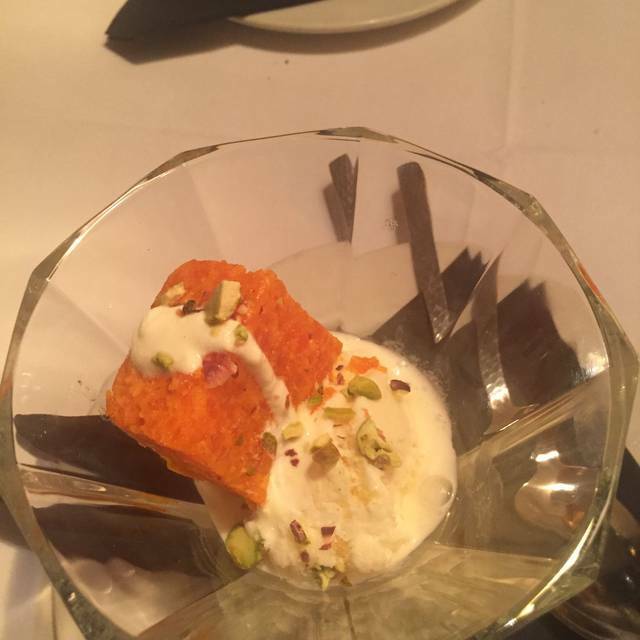 My husband and I have been going to Indian room in Balham for a while now but it’s just not the same as the beginning, I think they must have changed the chef as our last couple of meals have been completely different which absolutely breaks my heart as it was my favourite Indian. We went deciding to try one more time but left disappointed once again ,I ordered the chicken rogan josh that I used to order in the past which used to have a rich, spicy gravy , but it had a unflavoured red sauce that looked like it had been poured over ready cooked peices of chicken, “not at all like I used to have “. So I sent it back and they sent back an unedable, extremely spicy dish that didn’t taste at all like a rogan which I couldn’t eat. It’s with a heavy heart that I won’t be going back as I’ve always loved the place and the staff. Our second time in as many weeks. Excellent service and suppprt. Catered for a birthday cake and had a delighted relative. This is a lovely local restaurant. 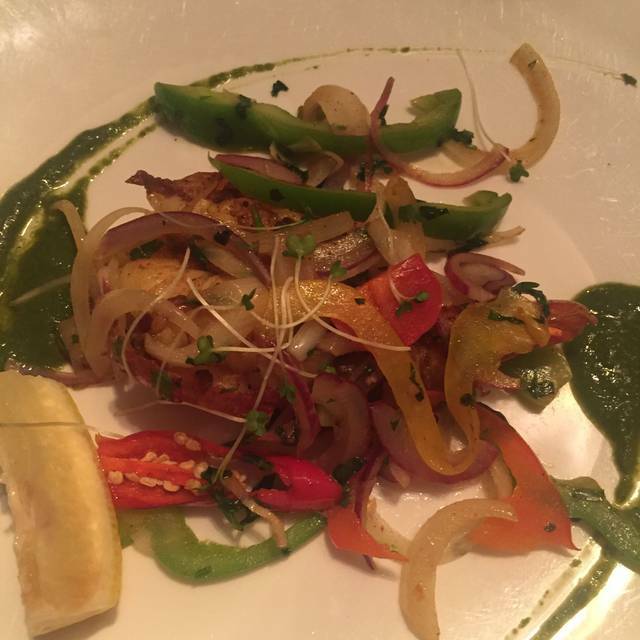 Really delicious food which is lighter/fresher than some more traditional Indian restaurants. Highly recommend. Been here a handful of times now and the food is consistently good. The ingredients seem fresh and most of the dishes are a lot lighter than in other curry houses, meaning you don't feel bloated afterwards. Would highly recommend the Fish curry & the fish tali. Always look forward to a meal here. I live in Cornwall but visit a friend in Balham 2-3 times a year, each time I’m here we have a meal in The Indian Room, and without fail they provide a super dish. This time we went twice in one week, second time inviting a friend, who was so impressed he went straight onto Tripadvisor the next morning to write a glowing review (see Glenn C). I’m on my way back to Cornwall today and wish we had an Indian Room there, but I will be back again soon, and will most definitely be booking my table for another excellent meal. Went for lunch on Sunday (50% off food). Lovely food as usual, we have become regulars here now. We went for supper on Sunday night and the food was as delicious as always! Been coming to the Indian Room for a number of years now and cannot find any faults, always enjoy the food and would highly recommend. Staff are friendly and polite and the food is excellent. The Indian Room is one of my favourite local restaurants and I have been coming here 1-2 times a month for over two years. The service is always friendly, the food reliably good and interesting, and the beer (Mongoose) far better than Kingfisher or Cobra. We booked a spur-of-the-moment dinner on a warm evening and had a delicious meal with 30% off food. Well recommended if you’re in the area. The Indian room never fails to impress, food beautiful as always and staff always smiling and friendly. We have been going to the Indian room often for the last two months and I can honestly say its the tastiest Indian food I’ve had in years, it taste healthy yet delicious and the staff is so warm and friendly. I’ve found my forever Indian . Delicious Indian food - great lamb chops and prawn dishes. Excellent restaurant. Great food and service. Now t that cheap but value for money is certainly there. 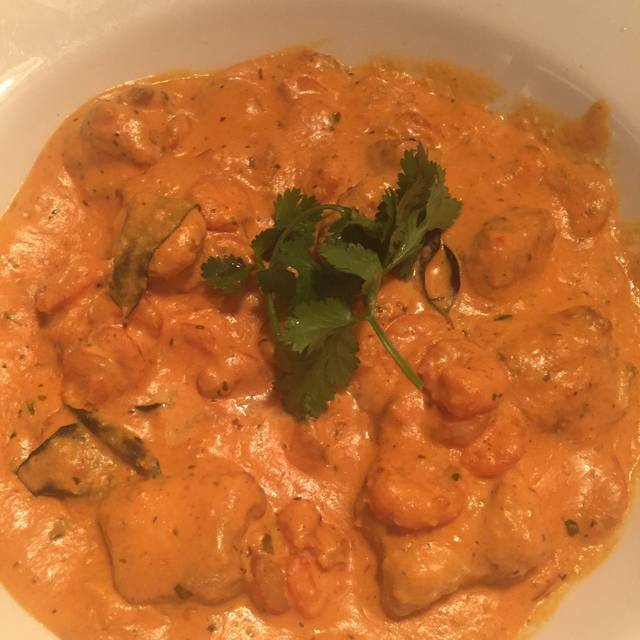 quality of food is excellent - they also cater well for allergies, with a complete list of gluten free dishes. Best curry I’ve had in a long time, tasted very fresh and home cooked. The food and service were ok. The only disappointment is that the menu posted on Opentable has different prices to the actual restaurant. This makes the pricing significantly different and this was thoroughly disappointing. Great well priced food as always. Nice buzzing at hops here on a Saturday night. Came out hot and in good time. No pressure to leave the table. Mrs Reid and I always have a great meal and service at the Indian Room. Their hospitality is second to none.